The sunset hours in Key West are a magical time to be out on the water. The sun turns golden and paints the sky! Pair that with the clean ocean air and you can reconnect and recharge with nature. This is not a fancy dinner cruise. No dress code. No cattle drive packed full of people. We keep our sunset cruise nice and personal. Relax and enjoy Hors d'oeuvre while sipping a refreshing island cocktail! Dream Cat is coast guard licensed to carry 49 people, but for your comfort we never book more than 35 (unless we have a larger party who all want to come together). We enjoy and celebrate the Key West atmosphere of friends getting together to enjoy an evening out on the ocean. We invite you to come as you are and enjoy your time with us. 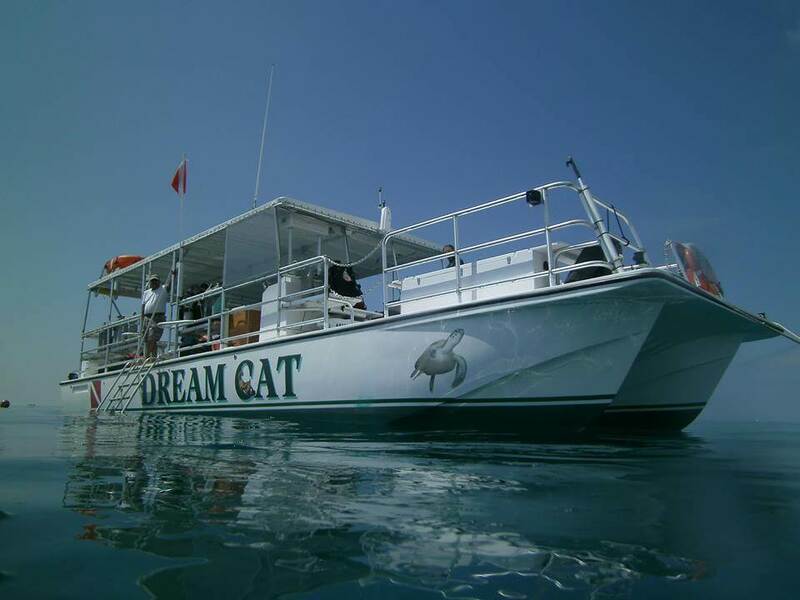 The Dream Cat offers open air seating as well as shaded. It also has restroom facilities. Tour duration is 2 Hrs. If you have a tendency to get seasick easily, we recommend taking sea sickness preventatives at least two hours prior to the sail, we do not return to the dock early for those suffering from sea sickness.